At PC Matic, we understand the importance of securing and maintaining smooth operation for the people that depend on us. With nearly 10,000 citizens depending on Dawes County Police to protect them, and keep things running smoothly, Sheriff Karl Dailey understands that too. 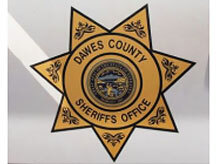 When it comes to security and productivity, Dawes County Sheriff ’s Department depends on PC Matic Pro to keep their endpoints secure, maintained and up-to-date.